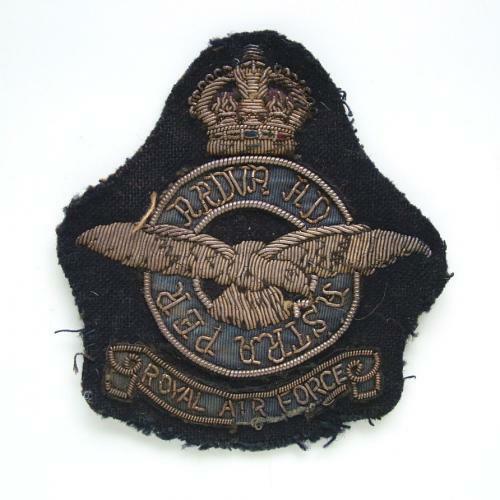 Bullion wire embroidered King's crown Royal Air Force blazer badge on black woollen background. Shows age and wear but in good used condition. Stock code U21358.